There’s something to be said for the remarkable gardens that take your breath away. Have you ever experienced one? 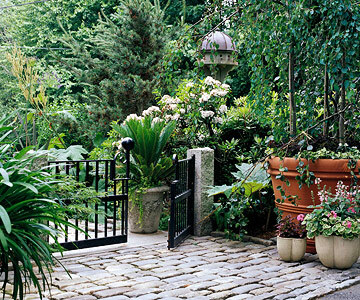 These are gardens that combine unique design attributes with a flawless choice of plants to accent the garden’s style. To create a garden of your own that resembles this deluxe level of detail, now is the time for you to begin your brainstorming! Here are a few tips to help you get started. Begin by drawing up a site plan. This is where your brainstorming efforts are put to paper! Sketch out ideas for plant beds, borders, and any accents you might like to have. Next, choose the right plants. First think of your favorite plants. Chances are, since your favorite plants reflect your personal style, they will probably suit your garden style well. Also consider the textures, colors, blooming periods, and shapes of these plants, ensuring that they complement each other well. Finally, head to Marvin Gardens and choose some design elements to showcase your plants. Our urns, planters, and trellises to name a few, are an ideal way to finalize the style of your garden. 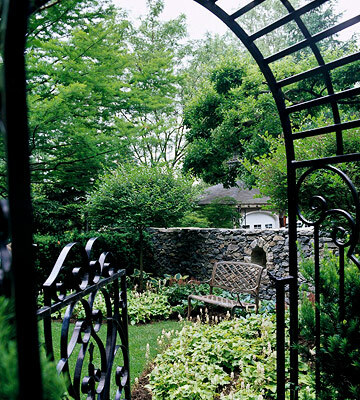 For more garden inspiration, plan a trip to Marvin Gardens early! Contact us by calling 203-544-2020 today. 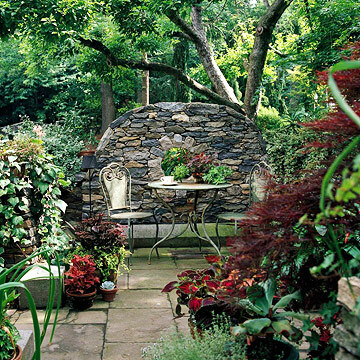 Here in the Northeastern United States, we have some of the finest, most romantic gardens in all of the country. Our incredible climate gives us the ability to experience each season thoroughly and enjoy its many benefits. As the year continues, we’ve had our eye on some of these beautiful gardens rooms found in the northeast. These “rooms” offer a beautiful garden retreat for its owners while also being able to take in the outdoors surroundings. As you know, Marvin Gardens provides the garden accessories and landscaping materials to make garden rooms of this nature perfectly unique. If you’d like to recreate your garden into a private garden room, just visit Marvin Gardens for inspiration! We have devised innovative and creative ways to create this sort of environment right in your back yard. Think Outside of Your Garden Box! With just one visit to our shop here at Marvin Gardens, you’ll notice something a little different. Unlike traditional landscape stores and garden centers, Marvin Gardens is ripe with bold, innovative ideas for your home garden. There is much more to creating a stunning landscape than having a green thumb. Though flowers and plants provide a lovely backdrop, for a truly remarkable home, your outdoor scenes should be expressive of your inner creativity. Bringing in old items and finding new ways to use them, or in finding something new to repurpose, we can create a new product – a new landscape that is worth boasting about. That’s why our team at Marvin Gardens searches high and low for unique, special pieces for your home. In designing this way, your home becomes a true representation of your individual style and something no one else can imitate. For closer look at our unique and blended garden style, stop by our shop or browse our photos at the Marvin Gardens Facebook page! Lose the Winter Blues When You Remember the Northeast Natives! With plenty of snow in the forecast, it looks like the cold weather is certainly settling in here in the Northeast! Though the winter weather isn’t a surprise for us, it can make our landscapes and outdoors a little dreary and depressing. To liven up your thoughts on exteriors and give you a peak into the spring, today we’d like to feature some of our most favorite plants and flowers that are native to our New England climate. Looking through the images will give you something to look forward to for the spring and it’ll also give you the opportunity to envision how the beautiful garden accessories from Marvin Gardens will fit into your garden style! Each of these lovely flowers provide a bit of color to your garden and are relatively easy to grow. 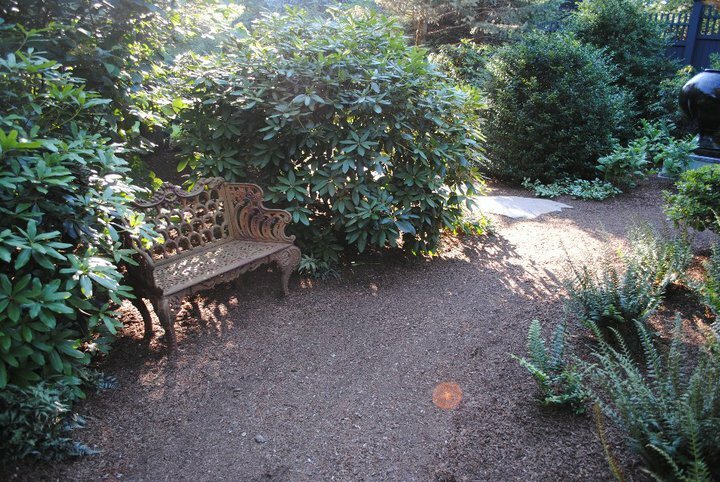 To learn more about how to plan for your gardens and landscape design this year, just give us a call at 203-544-2020. We would love to share with you how to go outside the boundaries of garden design! Highlight Your Plants With Exclusive Garden Accessories! You never know what unique finds you'll discover at Marvin Gardens! Though the winter months here in the northeast can seem long and dreary, we enjoy the season because it allows us to revamp and build anticipation for all that we’re planning for the year ahead! 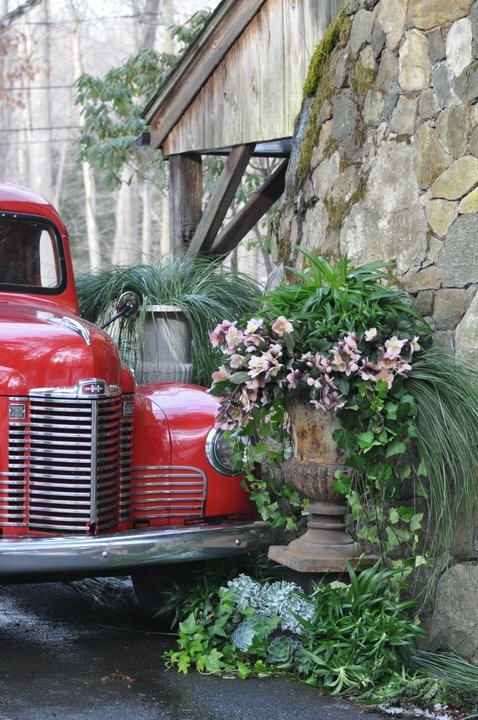 The Marvin Gardens style, as many of you know, is not something that can be found in traditional garden stores or volume dealers, but rather, it is a style of collections and personal embellishments that make your landscape much more exclusive. In our preparation for the year ahead, we are once again bringing you the fantastic re-purposed industrial bins and agriculture containers that we are famous for. We’re proud to bring these back because of the way that clean lines enhance the free form and loose structure of live plant material in the garden – a brilliant way to highlight your plants! Using the look of our products creates a style and a scene that truly sets your landscape apart from others. To guarantee that you’ll have a garden worth bragging about, view more of our products by looking through our pictures on the Marvin Gardens Facebook Page! What’s New At Marvin Gardens for 2012? 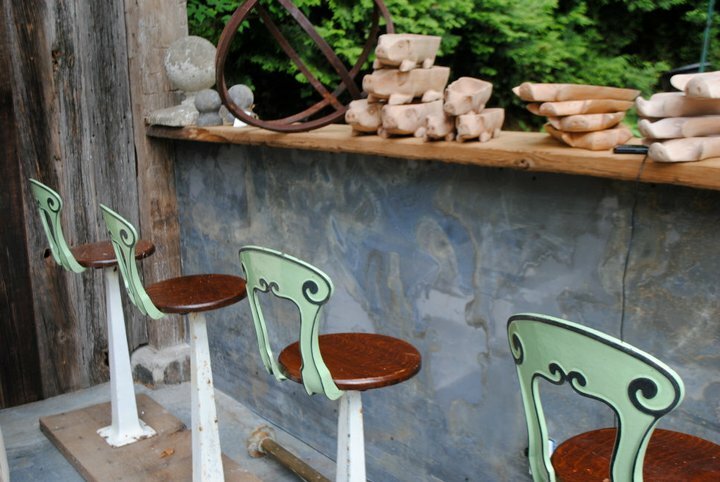 After all of our garden accessories have thawed out, be ready to stop by for a visit! With all this time away from Marvin Gardens, you might be wondering what we have been up to. As we shared with you a few weeks ago, preparing for the Philadelphia Flower Show has certainly been one of our top missions this winter, but we have also been preparing to bring you some new items for your landscape this year! Here’s a peak at some of our favorites. As we begin to unveil our new pieces for this year, we wanted to share the items with our Marvin Gardens Blog readers first! This year, you can look forward to our new wrought iron columns, along with the trellises and arbors that we’ve brought back into the inventory. 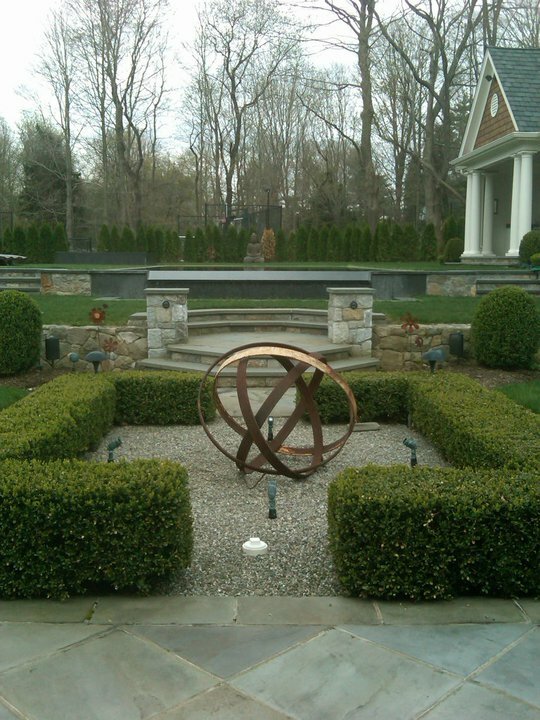 We will also be offering our custom services to create custom-designed iron pergolas. As always, we will be providing you with the pieces that bring distinction and character to your garden, while also adding a bit of fun to the scene. Are there any pieces that you are planning to add to your gardens this year? The selection here at Marvin Gardens is second to none in the area. Later this week, we’ll share with you a few more additions that you can look forward to seeing at our shop! Don’t Forget to Plan for the Garden Essentials! Do you have any ideas about what unique pieces you might like to add to your garden this year? Have you begun planning for your spring garden yet? Though it certainly doesn’t feel like spring temperatures, the season will be here before you know it! This time of the year is always an exciting for us here at Marvin Gardens because of the upcoming garden shows as well as the approaching warmer season. For our readers, it also means that it’s time to start planning for your own spring landscape additions! Planning for you garden isn’t at all a chore, it’s something to look forward to. First, begin with the basic garden essentials. 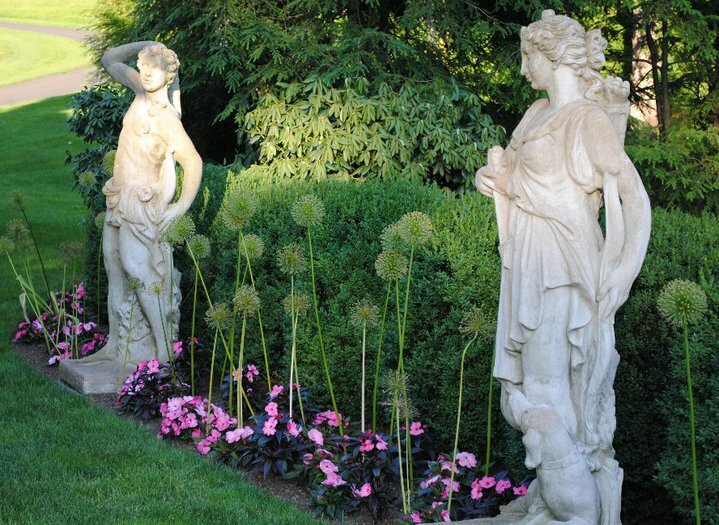 Of course this year at Marvin Gardens, we will continue to bring you beautiful, large art forms to provide your garden with its staple elements. We will also continue to bring you our classic and traditional cast iron urns and statuary. These crucial pieces provide you with the building blocks for creating any dream garden, whether it be formal, country, eclectic, or contemporary in style. Over the next few weeks, we’ll be sharing more with you about the unique and vintage garden accessories we’ll be bringing you soon! And as we mentioned, take this time to consider how you make your landscape more interesting and dynamic. Feel free to visit Marvin Gardens on Facebook for a little inspiration while planning! Looking Forward to the Philadelphia Garden Show! Every year, the Philadelphia Flower Show is highlighted with a specific theme. In the image above, 2008 was the year to "Jazz it Up!" With 2012 well underway, here at Marvin Gardens we have been busy getting ready for the year ahead! Though there will be many new products, displays, and projects you’ll find at our shop this year, right now we’re excited to be gearing up for the annual Philadelphia International Flower Show. You might recall that last year, Marvin Gardens was honored as a prestigious Blue Ribbon Winner! Each year, designers and talented gardeners travel from all over the world come to the show to display their fine items and plants, and with a Hawaiian theme for this year, we can’t wait to see what’s in store. Marvin Gardens will also be proudly exhibiting some of our interesting and new garden products. We especially look forward to finding new, creative ways to incorporate our unique garden style into a Hawaiin theme – the ideas are already pouring in! This year’s show will begin on March 4 and continue through March 11, so be sure to mark your calendars. Also remember to keep in mind that this month, Marvin Gardens will be closed until January 18th but we are still gladly accepting private appointments and you might even be able to catch Amabel at the shop if you time it right! In the meantime, stop by our Facebook page to share with us what you are looking forward to during 2012!